Love is even lovelier the second time around, and solid financial planning is even more important if you plan to remarry. This time, it’s likely that both of you have accumulated more assets, possibly more debt, and more responsibilities than before your first marriage. In addition to the issues involved in combining your financial lives, it’s important to take the necessary steps to protect yourself financially and manage any issues from your past experiences. What financial issues are most important to you in your remarriage? Caring for your children from a previous marriage? Having a more combined (or more separate) financial life? Dealing with inheritance issues? Learning from your experiences is what life’s all about. When you remarry, you take with you the lessons gained from your previous experiences of marriage. By analyzing the financial aspects of your previous marriage and your goals for this one, you can carry the wisdom you have gained into your new adventure in love.Pick the question your Club finds most interesting. If there’s still time, pick another one — or make up your own! What are your financial goals for your new marriage? What do you want to build together? What discussions have you and your intended had about finances in marriage? What ideas do you have to make this transition go more smoothly? How is dealing with financial issues different this time around? I will schedule a real and deep discussion with my intended about financial issues in our marriage. 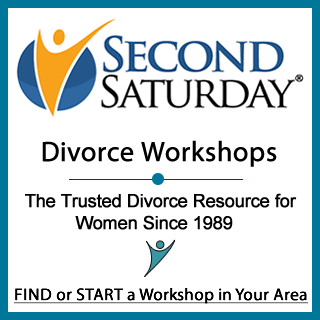 I will plan a date to talk with other women who have remarried and learn from their experiences. I will plan a Contingency Day with my intended. I gain knowledge from all of my experiences in life. I can create positive life changes. I am opening my heart to new experiences. If your group decides to Stay in the Zone then, future Money Star, check out these fun articles so you can discuss them at your next meeting. Even if your group decides to move to the next Zone, you still can explore these on your own.Are You Ready for Marriage? How did your sweetie respond to your request to take this quiz? What did you learn from comparing your answers? What issues do you and your intended need to discuss before you move-in? Is moving in a stepping-stone to marriage for you or is it a final destination? Have you discussed this with your beau? How will this wedding be different than your previous wedding(s)? Have you and your soon-to-be spouse discussed wedding plans? What is the most important thing you learned from your previous relationships? What are the strengths and weaknesses of your current partnership?